Jane Gaston and Lumiere at Jane’s farm, Hound House, in The Plains, Virginia. 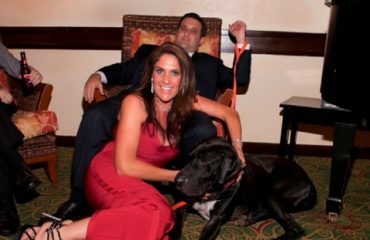 A solid black stallion with an indomitable spirit. A Chincoteague pony born to wild horses. For many of us, these characters defined our childhood. 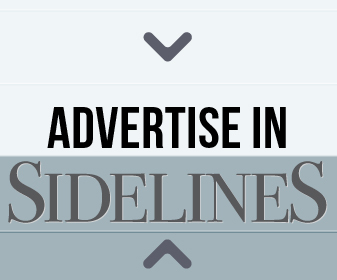 For equestrian artist Jane Gaston, they defined her life. The iconic equines not only bolstered her passion for horses and ignited her love of art, but they also taught her, as they did so many, an invaluable lesson: never give up. 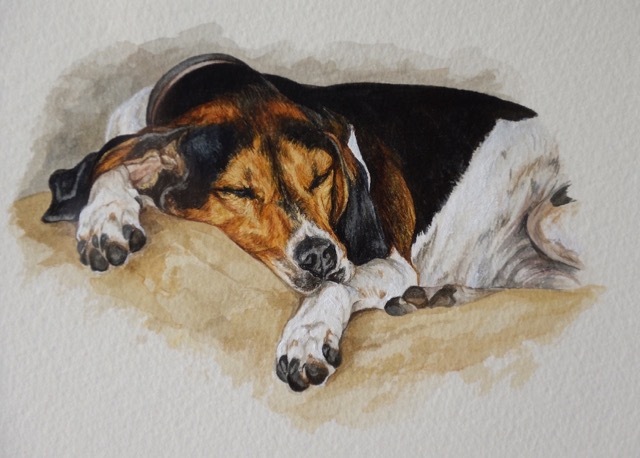 Jane’s painting of “Talon” – a beloved Treeing Walker Coonhound who was well known at horse shows. 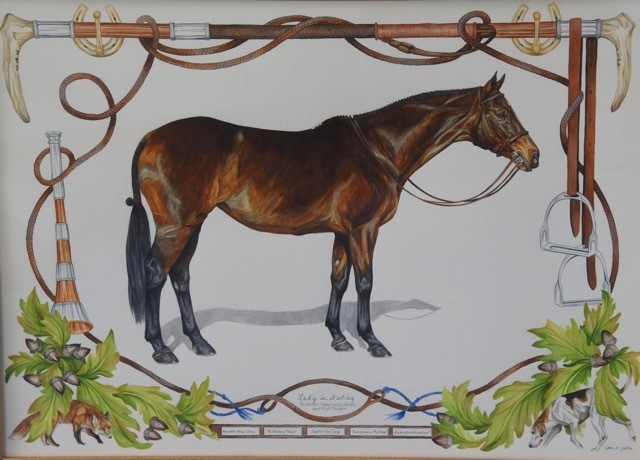 As a young girl, the willful characters of Jane’s books inspired a passion for painting and the determination to bring the details of her favorite equines to life. She started with paintings of those characters themselves — Black Beauty and Misty of Chincoteague among them — and the sweet, spotted ponies she imagined herself adventuring on before graduating to the subjects she favors today: graceful hunters and hounds relaxing after a day in the field. But, while her subjects have changed, the self-taught artist’s style remains very much the same. Rooted in her parents’ support of her work and their insistence on Jane pursuing her passion with both fondness and skill, Jane executes her painting with great detail. 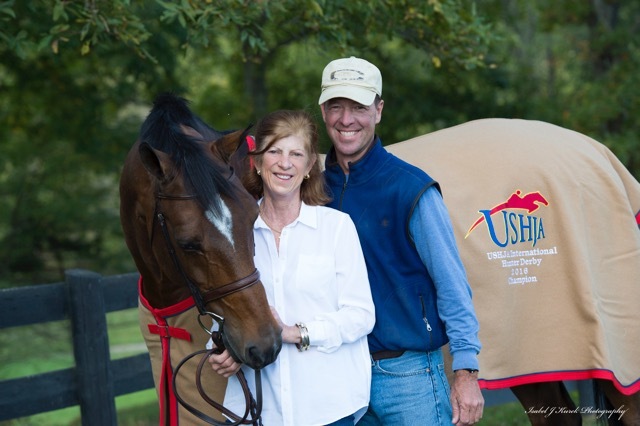 Jane with her longtime partner Philip Bourassa and Jane’s horse Baltimore, who was Horse of the Year in the High Performance Conformation in 2016. Baltimore was also the leading money earner for the International Derby Series. Of course, Jane’s aptitude for detail also features in her riding, which has led to a successful career as an amateur hunter owner and several Horse of the Year awards. 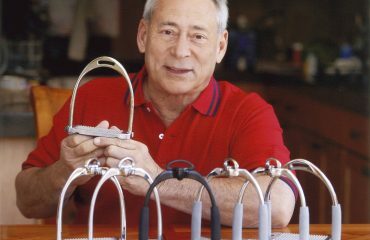 Growing up as a weekend riding warrior, some of Jane’s eye — and feel — for detail can be ascribed to her do-it-yourself attitude and years as a self-taught rider. Jane and Because show off their blue ribbon. Determination has also played its part in developing Jane’s equestrian success. Learning early on to never give up and possessing a distinctive sense of optimism, Jane has endured substantial setback while continuing to enjoy victory. 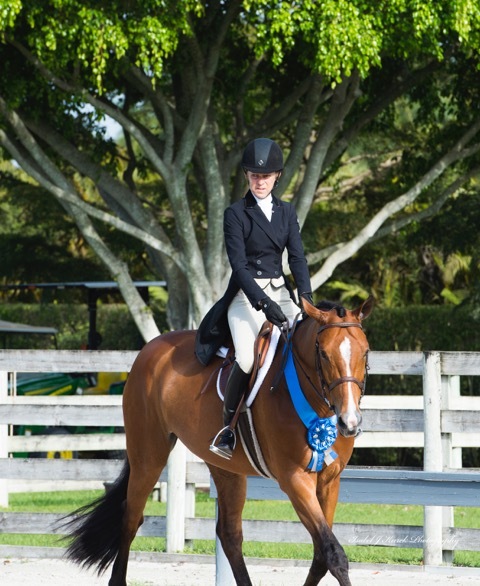 Smiling, she recalls a recent triumph with Because, a 9-year-old Dutch Warmblood gelding who was named Amateur Owner Horse of the Year and the Grand Champion Amateur Horse. Her determination also led to great success with Lumiere, the 2010 Amateur Owner Hunter Over 35 Horse of the Year. Today, her trusty steed of 12 years is happily retired. 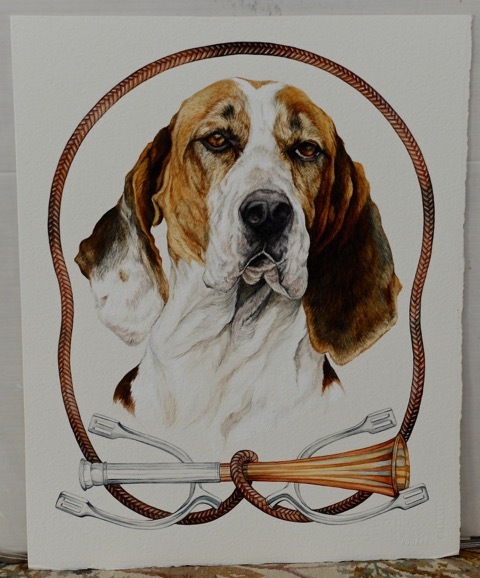 Jane’s painting of a hound from Orange County Hound. You might think it’s too much — between painting, riding and finding time for the necessities (like eating). But for Jane, it’s the perfect balance. The cycle of riding in the morning, painting in the afternoon and caring for the horses in the evening provides Jane with a sense of calm and purpose. 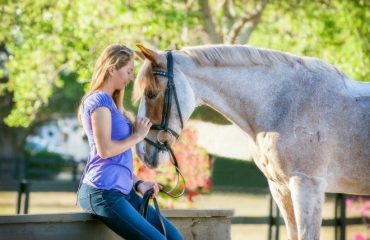 And nothing gives her more satisfaction than the end of the day when, no matter the progress made on her latest commission or if her ride went as planned, she finds renewed peace as she feeds her horses in her four-stall barn in Virginia. 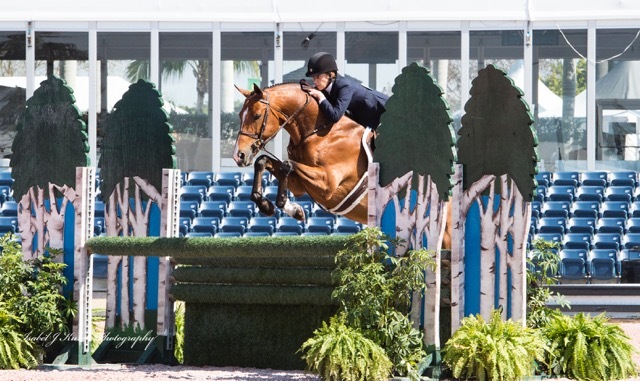 Jane and Because competing during Hunter Week at the 2017 Winter Equestrian Festival.